MINDBODY is the most popular fitness membership management software, and is often the gold standard by which companies in the industry compare themselves. Price varies depending on selected package, ranging from $125-$395/month. Special offer for SoftwarePundit readers: Receive 15% off your monthly MINDBODY subscription if you sign up through our referral link. Is MINDBODY the right software for you? MINDBODY is the most popular membership management solution among fitness-related businesses -- and for good reason, since the software has one of the most comprehensive sets of features in the industry. These features may come with a steep learning curve, but users who invest the time to familiarize themselves with the software will be rewarded with its powerful capabilities. Although MINDBODY can also be used to manage salons and spas, it’s currently most popular among fitness businesses. MINDBODY is the most popular member management solution on the market, serving tens of thousands of clients. Founded in 2000, MINDBODY was one of the earliest pioneers in the space, and is now used by more than 50,000 businesses. MINDBODY is known for its powerful set of features, but this comes at the expense of a steep learning curve, as some of its users have been known to complain about its usability. MINDBODY offers training through MINDBODY University, but this comes at an additional cost. However, once you’ve overcome the learning curve, MINDBODY supports pretty much anything you could ever want from a fitness business management software. MINDBODY is designed with all of the functionality needed to help run your gym efficiently. However, one of MINDBODY's major advantages is its popular mobile app for both Android and iOS, which has over 3.5 million users. The app enables users to conduct location-based searches for nearby fitness businesses that use MINDBODY, so that they can register for classes. This is a powerful marketing tool for boutique fitness studios that are looking to grow their customer base and attract new business. On the flip side, you should also keep in mind that users searching for your business through the app will also be able to discover competing businesses. Below, we discuss the key features of MINDBODY, and how they can benefit your fitness business. MINDBODY has a popular free Android/iOS mobile app that enables its 3.5 million users to find nearby fitness classes and sign up for them instantly. The app is a powerful marketing tool -- businesses can also offer introductory packages or deals through the app, in order to reach a much wider audience of potential clients. Though the app helps users discover any business that uses MINDBODY, it makes it especially easy to find businesses that offer deals to get customers in the door. Based on MINDBODY’s estimates, businesses who offer special deals through the app get, on average, 45% more customers than those who don’t. The app keeps track of every business that the member has visited, so if a user really enjoyed your class, he/she can easily find your business and become a recurring customer. All things considered, it can be a very worthwhile investment for businesses to offer attractive deals to get customers in the door and ideally convert them into recurring customers. MINDBODY estimates that 50% of people who purchase an introductory offer ultimately convert to full-paying clients. For each new member that it brings to your business, MINDBODY will charge a fee of 10% of that new member’s initial purchase. Businesses can use the real-time Client Acquisition Dashboard to monitor how many new customers are actually being brought in by the app, or through other sources, making it easy to gauge how much revenue is being brought in by your introductory offers. However, since the app also makes it easy for users to find competing businesses, it’s important to understand that there’s some risk that your clients may use the app to discover some of your competitors, and ultimately choose to sign up with them instead. As part of the Pro Package (or alternatively, for $115/month regardless of which package you sign up for), MINDBODY will create a custom mobile app for your business that members can download. This can be a great tool to building your brand, and is a great way to increase customer loyalty. In addition to the marketing benefits from the mobile app, MINDBODY also offers other marketing capabilities to help businesses attract and retain new customers. One of the most powerful features the software offers is the ability to send automated emails to members who have visited in the past, but are currently inactive. By reaching out to these members via email or text message, you can narrow your marketing efforts to focus on a concentrated group of potential clients that are likely to convert. 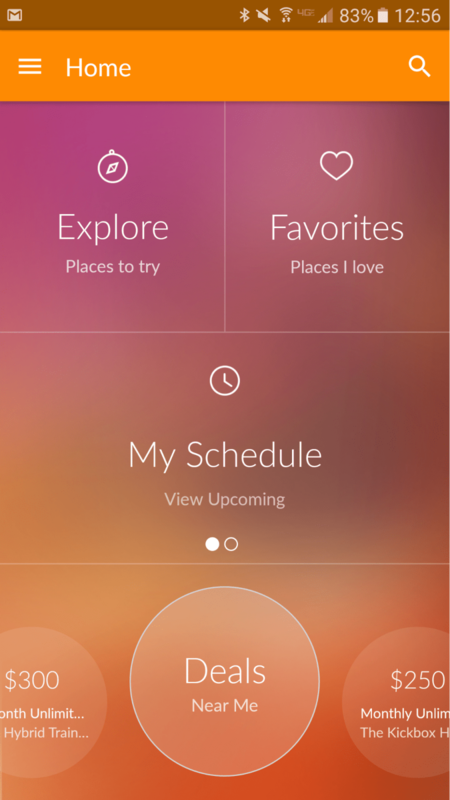 MINDBODY also makes it easy for you to track the success of these retention campaigns. The software provides the ability to set up a loyalty program and offer promo codes. As you set up unique promo codes for each new marketing campaign, you can easily keep track of each campaign’s performance. For example, this may help you determine if class packages are more profitable than buy one get one free classes. MINDBODY comes with 100+ reports to help you optimize your business. Since the software logs every activity, it’s able to generate these reports at varying levels of granularity to help you identify trends in your business and ultimately increase revenue. For example, you can identify your various sources of revenue by class, and understand your revenue year over year, or compare the amount of revenue brought in by various referral sources. MINDBODY enables you to analyze your data and make the best data-driven decisions possible in order to optimize your business. With MINDBODY, you can manage your schedule from one convenient location, and see who’s registered for classes, as well as their membership type and remaining balance. This functionality is helpful for identifying members who are new or have not yet paid for the class. If any of your members have purchased class packages, the software automatically keeps track of how many classes each of those members has remaining. If your business has multiple rooms, you can also view the schedule for each room in one consolidated view. Members can see your gym’s schedule and directly reserve spots for classes either through your webpage or the mobile app. In addition, users can see the instructor's name and read a brief description of the class. The scheduler also allows members to sign up for a waitlist, which automatically updates whenever other members cancel. Maintaining a profile for each of your clients is an important part of automating your business, and plays an important role in providing a smooth experience for the client. MINDBODY provides each client with a profile that contains the client’s history, including past classes, membership status, signed contracts/waivers, and payments, as well as upcoming bills that are due. If a client is on a class package, the profile will also indicate how many classes the client has remaining. The client profile enables members to check in for classes easily when they arrive, and will deduct the class from their class balance, or charge them if the class hasn’t been paid. The profile can keep the client’s credit card on file if desired, which makes it easy for the client to pay for each purchase. MINDBODY makes it easy for members to purchase items, and for businesses to set up online retail stores. In addition, since MINDBODY keeps each client’s credit card information as part of the client profile, clients can purchase water and necessary equipment for their classes, right on the spot. Using the POS functionality, you can also keep track of inventory and easily adjust each product’s price as needed. 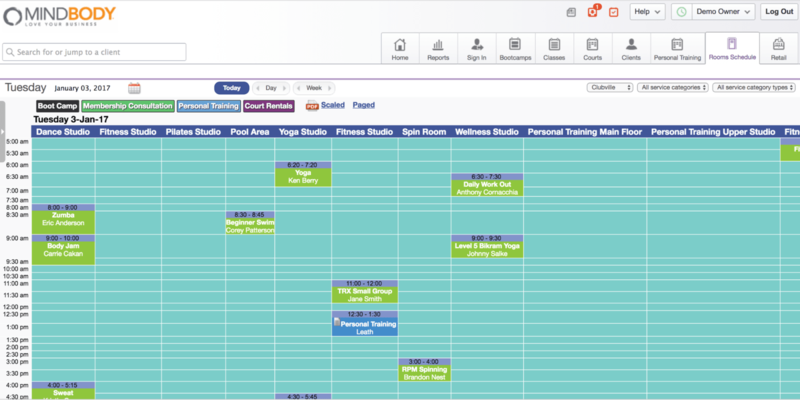 MINDBODY is the most popular software solution on the market for managing fitness businesses. If you’re looking to get more exposure to potential clients, MINDBODY is a great solution, since the mobile app enables you to get exposure to any of the app’s 3.5 million users. The membership management software is also especially great for those who sell a variety of class packages or memberships, since the platform makes it easy to track each member’s remaining balance for all of the different types of memberships. MINDBODY’s reporting also makes it easy to analyze performance for each of the different memberships offered, so you can understand which packages are most profitable for your business. If you’re looking for a lightweight, barebones solution, then MINDBODY may not be for you -- you may want to consider a solution that has only the features you need, with possibly a lower price and smaller learning curve. However, if you have a larger/growing customer base and expect that you will be able to leverage all of the features that MINDBODY has to offer, then you’ll likely find MINDBODY to be a worthwhile investment. To learn more about MINDBODY, you can visit their site here. SoftwarePundit readers receive 15% off your monthly MINDBODY subscription if you sign up through our referral link. You can also read our interview with Alexandra Kookarkin, owner of Miss Fit Wellness and Wellbeing, to learn why she chose to use MINDBODY and how it's helped her manage her business. To learn more about MINDBODY from an instructor's perspective, you can also read our interview with Danielle Tamburro, instructor at Bar Method SoHo.